This smelter chimney has recently fallen down in part. If you want to see the rest of the 1904 album it is currently available (As of 12-2006) at the Webshots address shown here. 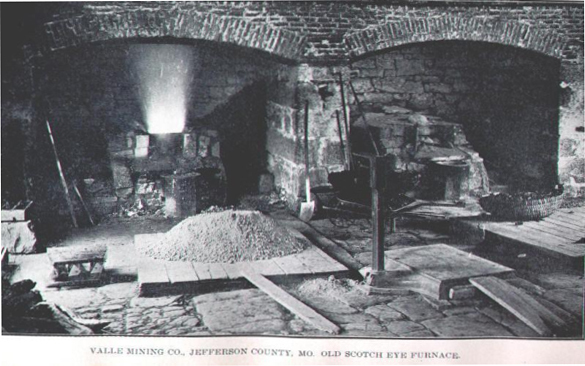 I could not get to the picture directly but I could when I searched for "Valles Mines Scotch Eye Furnace". The page contains links to pictures and info by BWarner, info about St. Joe Lead, Doe Run Lead, Desloge, Federal Lead and others. Contact bwarner53 for more or Contact Us.